For the hottest trends of this season and the next, find all the latest styles at Red Tulip Boutique! We’ve curated the very best of clothes for curvy women, including the most covetable tops, dresses, pants, jackets, and much more. As the leading international curvy fashion boutique, we’re pleased to offer an array of authentically fashionable plus size women's clothing that’s not only stylish, but that also offers the highest quality of design and a truly outstanding fit. Whatever you’re looking for, our cutting edge collection at Red Tulip Boutique is the perfect place to begin. We love getting things for free, so we’ve included fast and free shipping on orders over $50. Shop to your heart’s delight and get your items delivered to you, free of charge. Our friendly and helpful customer service team is always available to help you with whatever you need. Need help with sizing, returns, or shipping? We’re here to help! We have a very flexible returns policy, which allows you to shop risk free. We want you to absolutely love every piece you get, so shop away! There’s nothing worse than waiting forever for your new favorite top, dress, or bottoms. We have fast turnaround times so you get your new purchases as soon as possible so you can start rocking that new look. Our selection truly is unbeatable. We stock everything you need for a complete outfit, head to toe – and then some glam accessories to go with it! 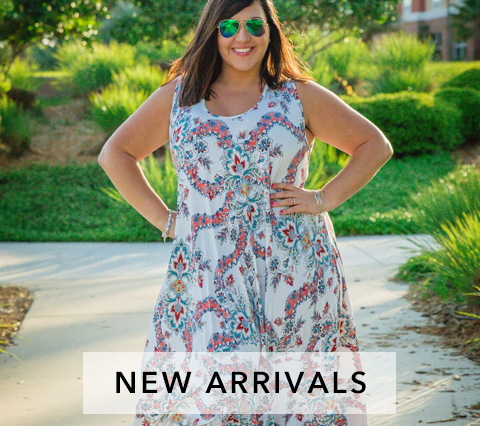 We’re your one-stop-shop for trendy and fabulous plus size clothing, and our collection shows it. You won’t get this great quality for this great price anywhere else! We price our products so you can shop guilt-free. Explore our collection of extremely high-quality clothing and you’ll be amazed by our low price point. There’s a reason that the final and most important fashion week takes place in Paris each season: in addition to New York, Europe is undoubtedly the hub of global fashion. Based in Europe, Red Tulip Boutique enjoys proximity to both Paris and Milan, allowing us to have a finger on the pulse of the international style scene. We’re constantly leveraging our location right next door to the world’s most notable fashion meccas to stay on top of all the up-and-coming trends, which makes us rare among regular boutiques and one-of-a-kind among curvy fashion boutiques. Unlike many clothes for curvy women, our offerings are highly influenced by the hottest new trends from around the world, not simply styled after existing clothing that’s one or even two seasons behind. With a European location and distribution in the United States, our curvy fashion boutique combines the very best of both worlds, and is dedicated to delivering the most coveted styles with a luxury appeal at an incredible value. 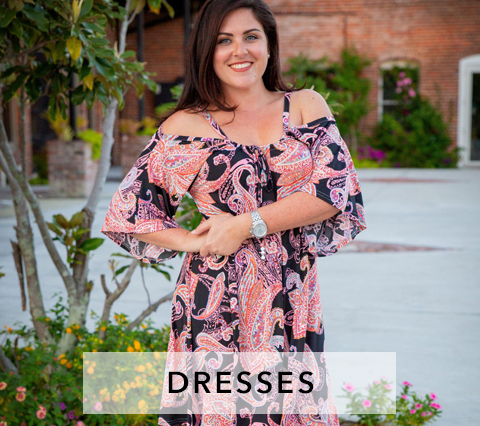 At Red Tulip Boutique, we’re driven to provide the latest and greatest clothes for curvy women with styles that are truly in the moment, not after the fact. 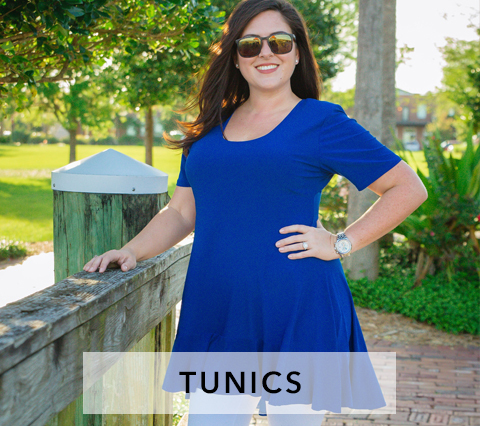 While most plus size clothing is modeled after existing regular size collections, our fashionable plus size women's clothing is authentically and originally designed with curvier figures in mind. Not only does this make Red Tulip Boutique the most on-trend resource in the industry, it also ensures that customers enjoy the perfect fit with clothing designed specifically for them. Our collection allows buyers and sellers of our clothes for curvy women to always stay one step ahead of the curve, and aims to bring customer satisfaction to a whole new level. In addition to an unrivaled selection of clothes for curvy women, we’re thrilled to offer an unparalleled degree of customer service. We offer fast, convenient shipping, accurate sizing charts, and in-house expertise that is second to none. For help navigating our collection, or for questions about our current inventory, we invite you to contact us anytime at (888) 508-7186, or to reach us via email at info@redtulipboutique.com. We look forward to hearing from you! Spring Fashion Trends You Are Missing Out On!